I’ve been fortunate to have been involved in some amazing collaborative book projects. 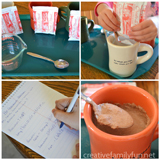 Each has been the work of a team of creative bloggers who know how to make things fun for kids and easy for parents. You can read more about our collaborations below and also purchase directly from this page. Thank you! 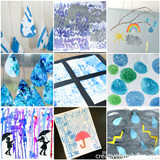 Three to Five: Playful Preschool is a collaborative project from over 25 top-notch kid bloggers. 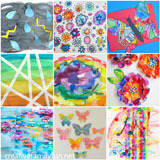 In addition to the 25+ projects, you will find 10 printables including a city scape play scene, My First Journal pages, recipe card, numbers game, weather chart printables, alphabet play mats, unique hand-drawn art pages, conversation cards, block building challenge cards, and bookmarks. Fun, right? 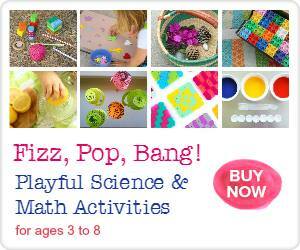 You’ll find math, language, literacy, science, art, and play ideas. Please click here to read more about the book. You can buy this book for $8.99 from anywhere in the world. You’ll purchase through PayPal, who will take care of all currency conversions. This is an e-book, so you’ll receive it through digital delivery. You can buy it now, on any device, and then download it when you are ready. Depending on the apps you have installed and your operating system you might be able to go ahead and download the book on your mobile device, but if you have any doubts or problems, I recommend you use a computer to download the book and then share it to your mobile devices. 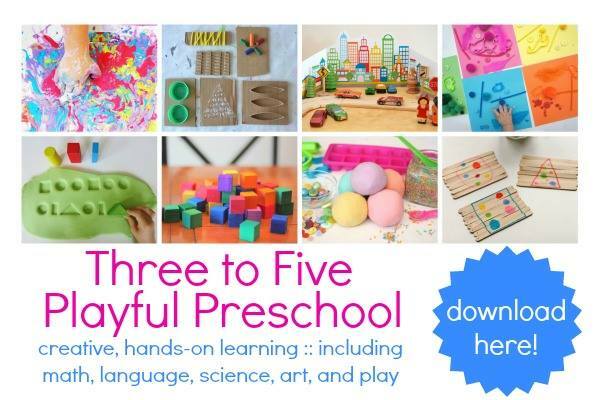 Click the button below to purchase the Three to Five: Playful Preschool e-book for $8.99. Fizz, Pop, Bang! 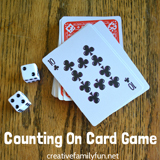 Playful Science & Math Activities is an amazing resource for parents and educators. You’ll find 40 math and science ideas for children ages 3 to 8, with twenty printable resources such as math and science graphing and recording sheets, print and build 3D solid blocks, and engineering challenge cards. Plus you’ll find additional links to over 80 more activities. Click here to read more about it. You can buy your copy now for $9.99. It’s absolutely worth the price. You can purchase this book from anywhere in the world. PayPal takes care of the currency conversion. You can buy it now, on any device, and then download it when you are ready. Depending on the apps you have installed and your operation system, you might be able to download the book on your mobile device. But, if you have any doubts or problems, I recommend you use a computer to download the book and then share it to your mobile devices. Click the button below to purchase the Fizz, Pop, Bang! e-book for $9.99.